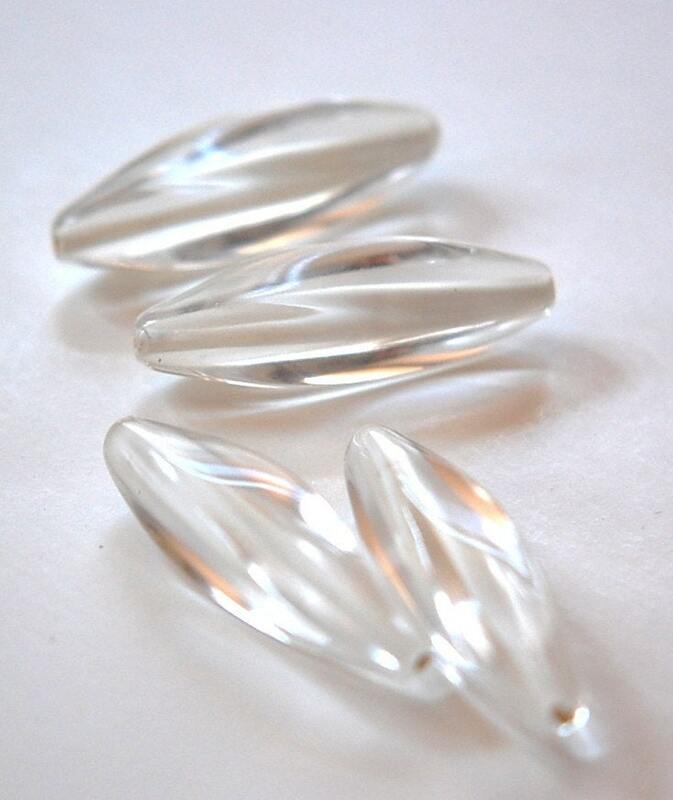 These are vintage clear acrylic beads. They have four sides with a gentle twist in the shape. The beading hole is lined in white. 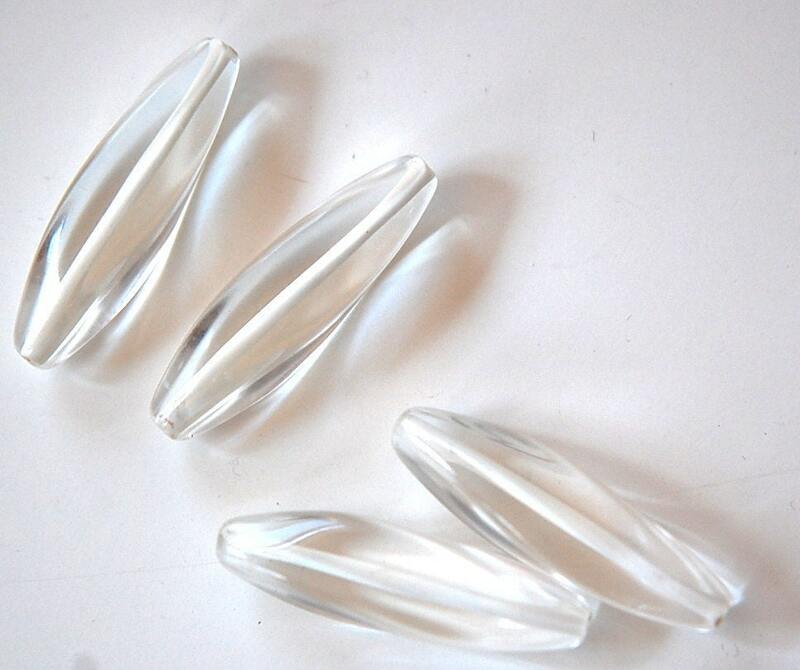 These measure 37mm long X 10mm wide. You will receive 4 pieces. I have these in clear with black too. Great beads! Thanks very much.